Pulled straight from the canvasses of Dante Gabriel Rossetti, Elizabeth Hickey's The Wayward Musepaints a vivid portrait of the mysterious and beautiful Jane Burden, the Pre-Raphaelite icon. A stableman's daughter raised in the slums of Oxford, seventeen-year-old Jane is convinced of her own homeliness. But her fortunes forever change when she is discovered by the charismatic and irreverent painter, Rossetti. Jane is swept into the artist's world as model and muse and falls madly in love with him. When Rossetti abruptly leaves her, Jane reluctantly agrees to marry his protege, a shy craftsman named William Morris. But her passion for Rossetti never dies, and years later all three become entangled in a love triangle from which they will never escape. Atmospheric and haunting, Elizabeth Hickey's latest historic novel gracefully explores the delicate and capricious nature of both love and art. 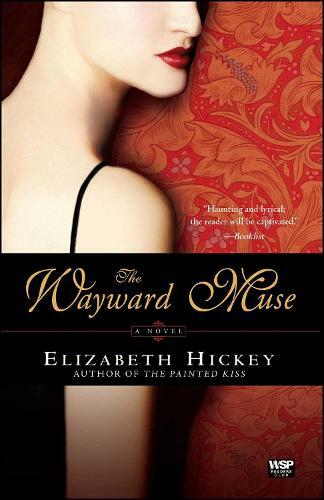 "In The Wayward Muse, Elizabeth Hickey conjures up the fascinating love story behind an artist's vision and brings it to life with richly imagined characters and historical detail. It is an enchanting novel." "I will never again encounter a William Morris design or read a poem by Dante Gabriel Rossetti in quite the same way. Elizabeth Hickey's rendering of the Pre-Raphaelite movement in English poetry and art is evocative and enchanting. Jane Burden is a heroine worthy of the Bronte sisters." "The Wayward Muse grants us and its protagonist, the plainest Jane from an Oxford slum, a shared dream: to be transported out of ourselves. With sumptuous and persuasive detail, the novel unveils for us the intoxications and burdens of always being someone's muse."